We are actively looking for more string players! If you are an advanced string player looking for a stable & well-organized, yet informal & fun community orchestra, dedicated to both musical excellence and the musical growth of its members, why not consider joining us: the Palo Alto Philharmonic! We are always happy to welcome new musicians! We are an all-volunteer community orchestra, with excellent wind & brass players, our own Composer-in-Residence, a collaborative Music Director, and a small core of good string players ... we just need to add a few new players like you to help us grow our string section! While we are particularly interested in expanding our string sections, we are always on the lookout for unique instrumentalists called for by the music that we are actively preparing. Most of the regular wind and brass sections are complete, but occasionally we do have openings. You can ask to be put on our list of rehearsal substitutes, which will give you an opportunity to introduce yourself to the orchestra during rehearsals. We rehearse on Monday evenings during the concert season (Sept through May) from 7:30 to 10pm at Cubberley Community Center in Palo Alto. 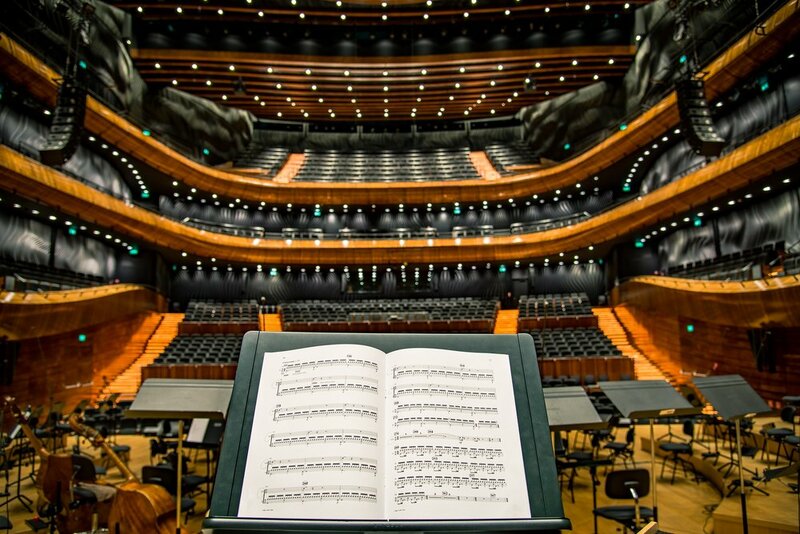 The specific schedule of all rehearsals, dress rehearsals, and concerts is available here, and a short list of musician guidelines is here. Our concert programs are created by the Music Director working together with our Music committee, and some of the music we play is quite challenging. You can take a look at our repertoire page to get an idea of the level of difficulty, and check out our audio and video pages to get an idea of the quality level that we strive to attain in performance. If you are interested in joining us, please fill out the form below. We will get back to you quickly to inquire about your prior orchestral experience, and to schedule an opportunity to meet with and play for our Music Director.